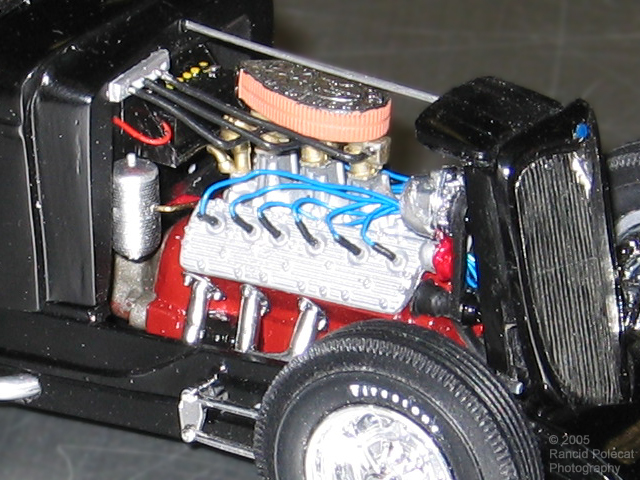 That hot rodded twelve cylinder flattie is included with Rich's kit and it's available separately. The beehive oil cooler and Eddie Meyer air cleaner are Replicas and Miniatures Company of Maryland pieces. Other odds and ends on the engine were sourced from Rich's partsbox. Plug wires are from Detail Master with boots made from insulation cut from a larger diameter wire.